NERC has commissioned three national facilities to serve the UK environmental research community, allowing researchers to make use of specialist methods such as satellite modelling, radiocarbon dating, isotope analysis and field spectroscopy. "Our national capability fund enables researchers to enhance their NERC-funded research with the help of specialist expertise, technologies and techniques." In addition to recommissioning two existing facilities, a new facility, the National Environmental Isotope Facility (NEIF), will bring together the UK’s capability in isotope analysis and radiocarbon dating across five locations. Research conducted through NEIF will focus on a wide range of Earth processes, from earthquakes and ecosystem function to human evolution and climate change. The announcement follows a review of NERC’s science facilities portfolio, designed to ensure that funds continue to be reinvested in areas of community need. National Environmental Isotope Facility (NEIF), at the British Geological Survey (BGS), Oxford University, University of Bristol, Centre for Ecology & Hydrology (CEH) and Scottish Universities Environmental Research Centre (SUERC). NEIF also incorporates the former NERC Radiocarbon Facility. 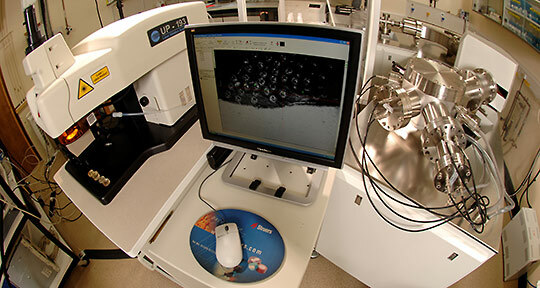 NERC supports a variety of science facilities that are essential for UK environmental research. These provide regional or national access to innovative technologies that are applicable to a wide range of environmental science disciplines, but are either not widely available elsewhere or are prohibitively expensive for individual institutions to provide. As well as serving the academic community, they are also available to industry partners on NERC research projects, and provide a source of capability and expert advice to government and wider society. NERC’s science facilities investments underwent an evaluation process in 2016, with an independent panel providing recommendations as to the need, demand and value for money of its components. 1. NERC is the UK’s main agency for funding and managing research, training and knowledge exchange in the environmental sciences. Our work covers the full range of atmospheric, Earth, biological, terrestrial and aquatic science, from the deep oceans to the upper atmosphere and from the poles to the equator. We coordinate some of the world’s most exciting research projects, tackling major environmental issues such as climate change, environmental influences on human health, the genetic make-up of life on Earth, and much more. NERC is part of UK Research & Innovation, a non-departmental public body funded by a grant-in-aid from the UK government.